March 2, 2017 Jeff 3 comments. TL,DR: Running efficiency refers to a measure of how much oxygen you need to run a given pace. This can vary greatly among individuals, and we can measure it in a lab. 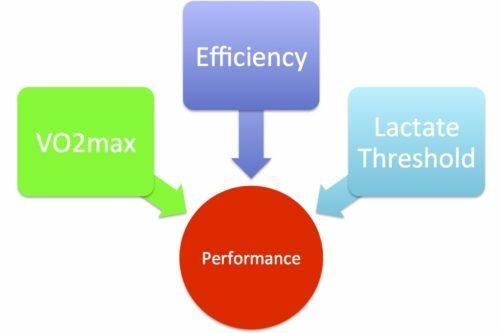 The three main pillars of endurance performance are VO2max (maximal oxygen consumption), lactate threshold (pace at which lactate builds up faster than it can be cleared), and efficiency (the amount of oxygen needed to produce a given running speed or cycling power output). 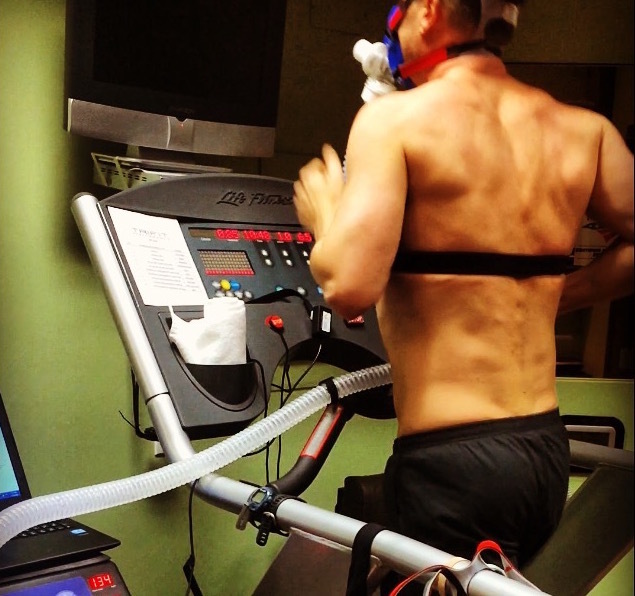 While a high VO2max is a requisite to compete at the highest levels, it alone will not predict success. 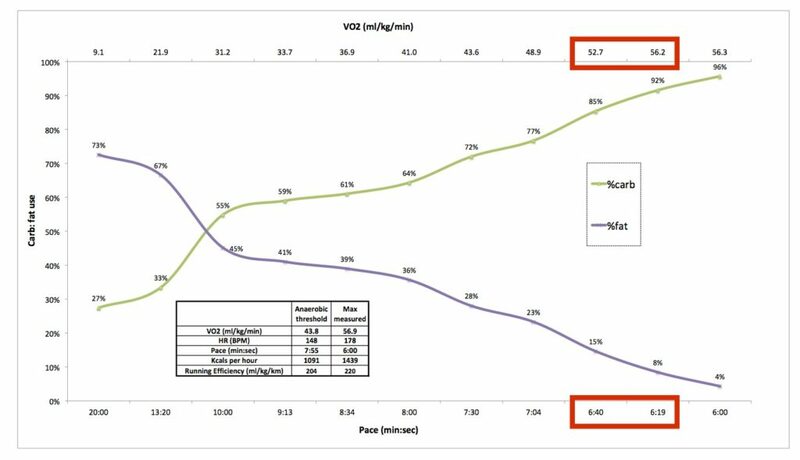 VO2max and lactate threshold interact to determine ‘performance VO2’, which is the highest sustainable level of oxygen consumption. Efficiency then dictates the running speed (or cycling power) which can be produced at a given level of oxygen consumption. 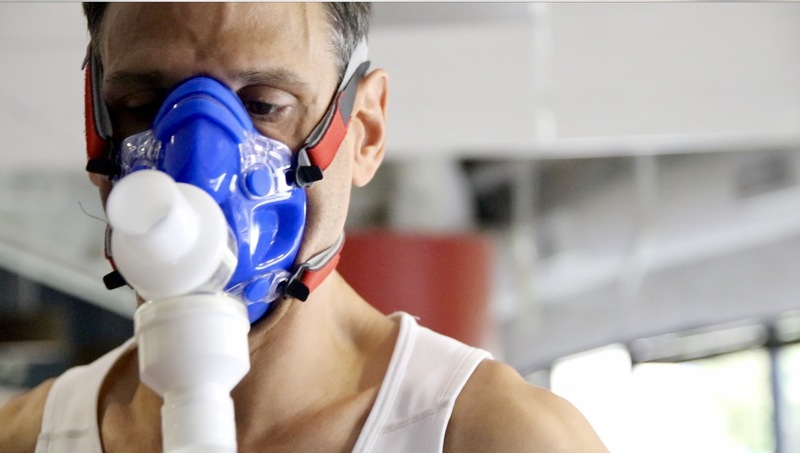 I will focus on efficiency in this article, and share with you some of the data I have collected from testing hundreds of athletes. 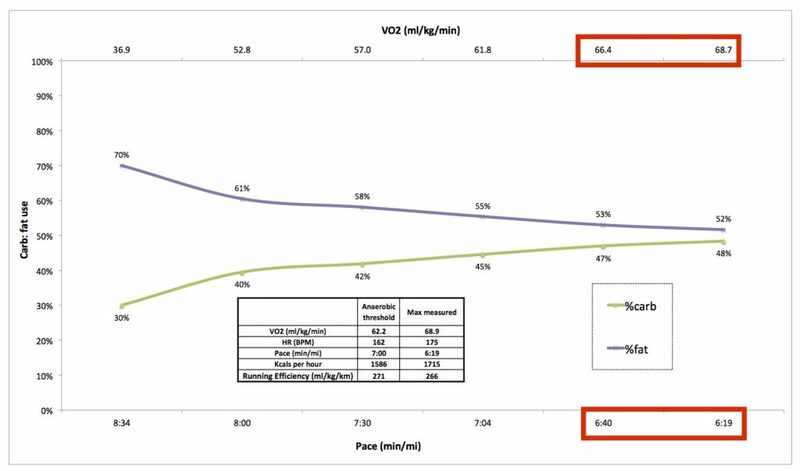 Running efficiency/economy can be measured during a lab-based exercise test and is simply a calculation of the amount of oxygen required for you to move one kilometer, normalized for body weight (ml/kg/km). Look at the running economy and you’ll see that these guys are using drastically different amounts of oxygen to propel themselves the same speed, and they’re also burning drastically different types of fuel. The numbers are normalized to body weight, but runner 1 is 5’10” 184 lbs (22% body fat) and runner 2 is 6’4″ and 187 lbs (12% body fat). Their frames are quite different though if anything we would expect to see the thinner runner with the better economy. To give some context here, elite Kenyan marathon runners typically have a running economy of around 190 ml/kg/km. It means runner 2 is running about one minute per mile slower than he could be! 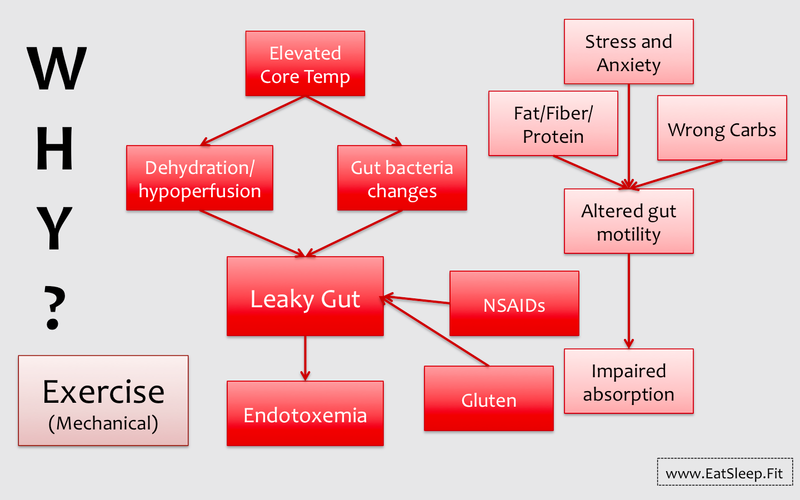 While there are many components of running economy including genetics, training status, and running mechanics, substrate use (burning carbs vs. fats) can also play a role and in this case I think that too much fat burning is largely to blame. 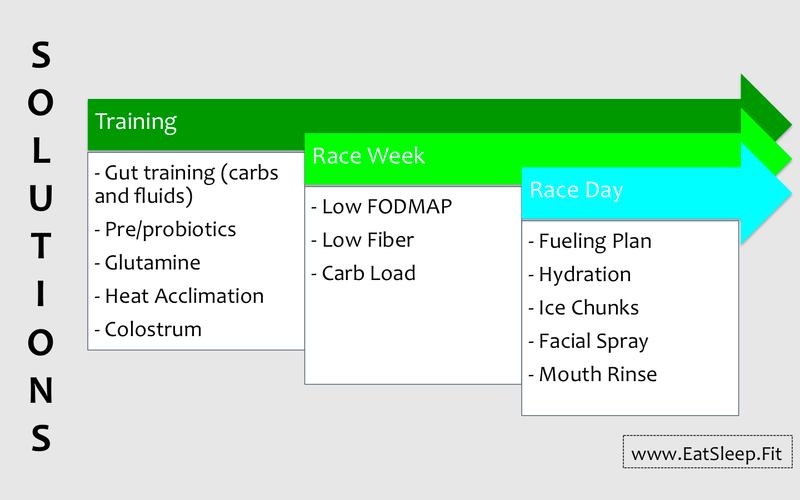 As you can see, runner 2 is relying much more heavily on fats while runner 1 is burning mostly carbs at that speed. Fat requires more oxygen to be burned, and so we would expect to see a better running economy when someone is burning more carbs! Like anything else you want to manage, you need to start by measuring it. 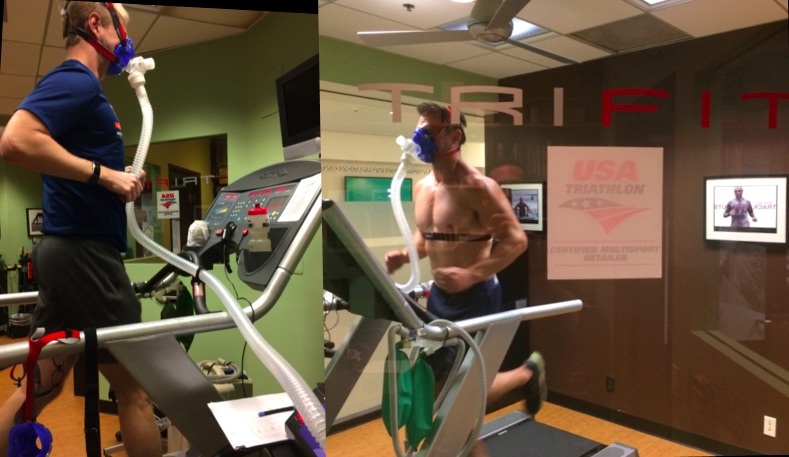 Any place that tests VO2max can also calculate running economy, and it’s something that I do for people at TriFit in Santa Monica. If the problems appear to be mechanical, you should look into getting a run gait analysis. 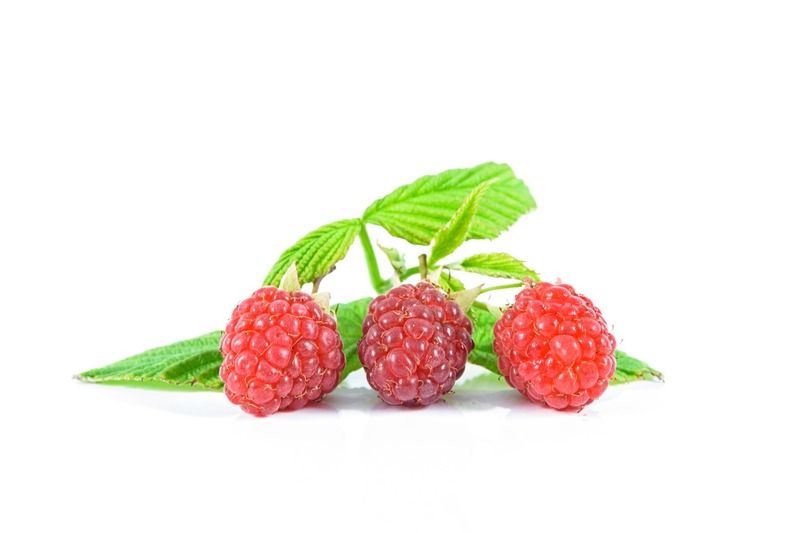 If your substrate use is off (burning too many fats and too few carbs, for example) you can fuel to be more efficient during exercise, which among other things means making sure you’re fueled appropriately with carbs when it’s time to do high intensity training! In the next post we will take a more in-depth look at exactly how much fat is being burned by these two athletes, and if it’s possible to be burning too much. To be sure you don’t miss any posts, sign up for email updates in the top right corner of the screen! What is the formula to calculate the running economy? You take the ml of oxygen per kg of body weight per km. Basically, how much oxygen someone uses, relative to their body weight, to go 1-km.